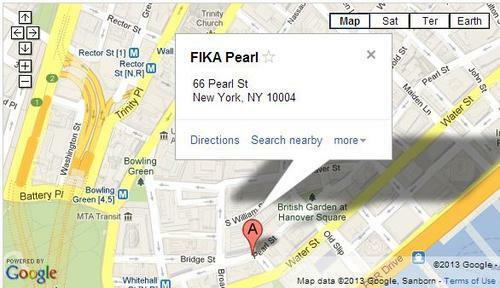 Off The Griddle With IHOPapotamus at…FIKA NYC! Hi there, it’s the o.g.pancake enthusiast here (I know, I know, I promised a whole new lineup of ihopapotami and here I am with the first review, but come on, I couldn’t resist!) 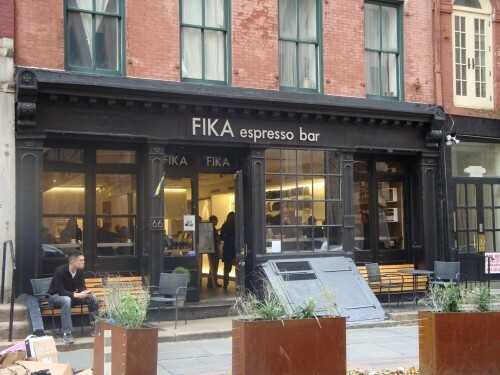 So, I popped into FIKA NYC this week for a quick lunch. There are actually a few FIKA around the city (I think 5) and I just happened to wander into the FIKA Pearl which is all the way downtown. Technically FIKA isn’t a pure pancakerie, but the Special Shrimp Crepe I had was pretty dang good. The meal was really satisfying, the stuffed crepe was a hefty size and the side salad was a nice counterbalance to the richness of the crepe. I’ll admit that I’m not a huge mayo fan (and I didn’t realize that the shrimp had a mayo dressing) but I still ate the whole crepe. 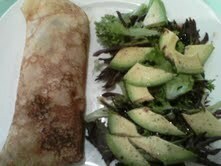 On its own, the crepe was pretty plain, but altogether, it was a really delicious meal! The shop itself is really cool, it’s got an all-glass entrance and the inside is really sleek with booths, raised seating, and an espresso bar. When I went in (around noon) a few booths were full, but by the time I left (around 1 – hey, I take a long lunch), all the seats were taken. In their own words, “Fika is a Swedish verb that roughly translates into taking a coffee break, usually accompanied by something sweet and delicious… .having a fika is an extremely important daily ritual for Swedes who enjoy taking a longer moment to indulge in conversations with friends and colleagues.” That’s totally the atmosphere I got, and by the way, the coffee was REALLY GOOD. Aaand, now I know why the characters in all of Stieg Larsson’s books are constantly drinking coffee! A Change in the Lineup! So some changes are a-comin’ and I just wanted to let all of you know what was up! 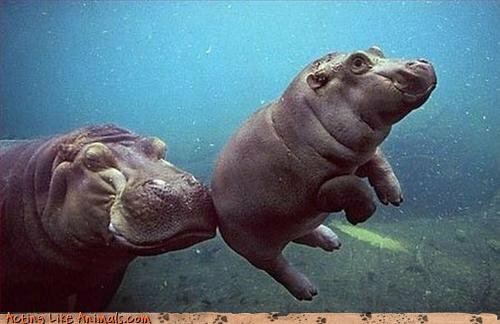 My dear old Ihopapotamus is getting busier and busier (something about school, exams, and life? ), so starting with today’s post, I’ll be introducing a whole pod of Ihopapotami and they’ll rotate through reviews – don’t worry, the rating system will stay the same but now you’ll have more access to pancakeries across the US – let the traveling ihippo get goin! Ok, so listen to this song, and then Cower in the face of my ultimate feast!!!! 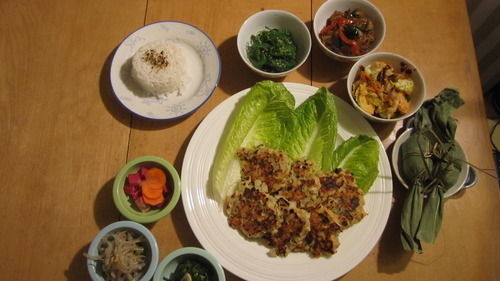 Okay, so a mini-feast…but I did make these Korean tuna pancakes (“Chamchijeon”) and supplement them with 6 banchan (5 homemade) and rice…so feast-ish, right? The original recipe is over at Peaches and Donuts. The Chamchijeon were really good and my roommate and I had a very satisfying dinner out of them. They were a bit on the salty side (which was tempered by the lettuce and rice) but I left the extra salt out of my recipe. 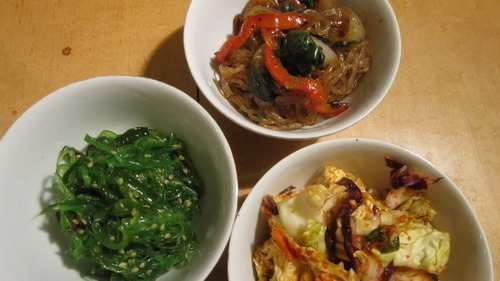 Oh, so definitely eat these with some rice and wrapped in lettuce (lettuce is optional) but the rice really made these into a meal. 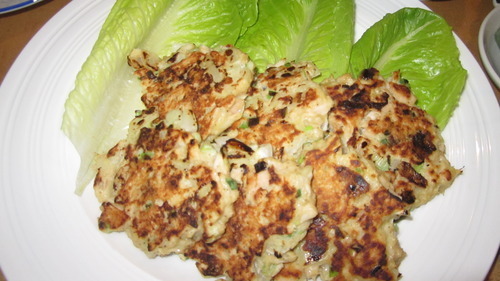 If you’re not a big fan of fish, then you might want to stay away – the “natural” fishiness of the canned tuna is a major flavor in the chamchijeon. 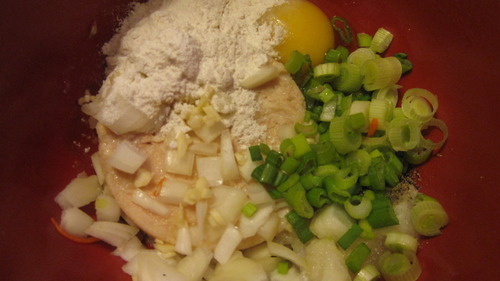 (everything that went into the chamchijeon). 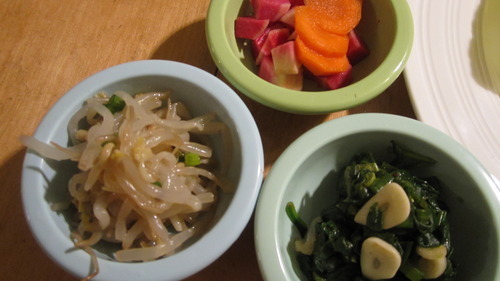 They all turned out pretty good (the carrots/radishes were insanely salty…they’re still sitting in my fridge guilting me about ruining them with salt) and I would recommend just googling different recipes and figuring out what’s easiest for you to make. I’ll be honest, I do a fair amount of internet/recipebook trolling to get new pancake recipes each week (in fact, I even keep a spreadsheet of all interesting recipes I come across to make sure I keep things fresh!). 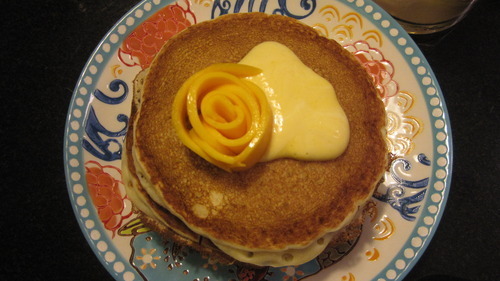 Every now and then, though, I come up with something “original” so today, I present you with Mango Lassi Pancakes! Feast! In case you’re wondering, a lassi is a traditional Indian yogurt-based drink, basically like a thick smoothie. 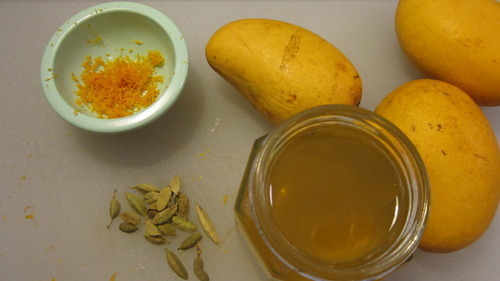 Mango seems to be the most popular flavor and the smoothie is usually punched up with some spices like cardamom, cumin, or turmeric. So, while these pancakes may look sort of “regular,” they pack a nice little flavor punch. I only used cardamom in my pancakes (no turmeric or cumin), but its flavor is pretty pervasive. 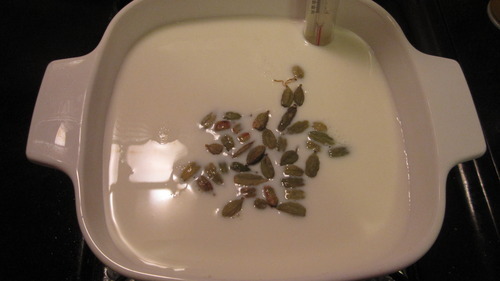 I first make my own cardamom-infused yogurt (based on my basic yogurt recipe). That yogurt is then part of the pancake base and the yogurt that I use in the mango lassi cream. I also add some extra ground cardamom into the batter….with all this, though, the cardamom flavor is still pretty mild (definitely there, but mild) – so even if you’re not a huge cardamom fan, you might still like these pancakes! definitely garnish with some fresh mango – the pancakes need that textural contrast to really take your mango lassi pancaking to the next level! Ah yes, and here’s my recipe! 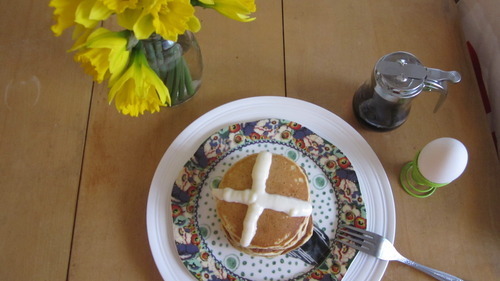 Traditionally, hot cross buns are eaten on Good Friday, so I’m just about a week late, but I like to think that a good pancake can’t be contained to just one day. The original recipe (and some excellent photos) are from Joy the Baker and you can see what I did over here. 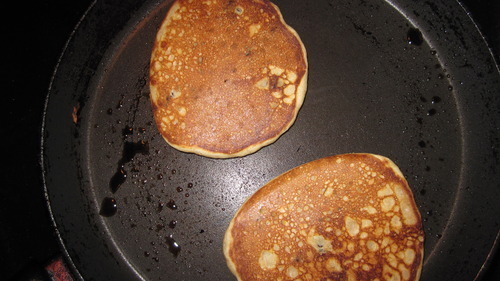 Also, the pancakes are easy to cook (minimal worrying about burning, overcooking, undercooking, etc.) and they fill the air with a nice spicy, citrus smell. 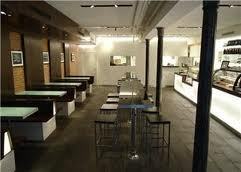 The pancakes also taste good! I’ve never had a hot cross bun but I’m definitely inspired to taste one. The pancakes have a strong citrus taste (from the blend of lemon and orange zest) that balances out the mild sweetness. I will admit that I totally forgot to add the vanilla extract…woops. I think the pancakes definitely would have benefited from that extra flavor, but they were just fine without it, too. You might think that the combo of cream cheese frosting and syrup is too much, but it’s really not, and this is coming from someone who really can’t handle overly sweet things. The pancakes themselves are not that sweet and there isn’t that much frosting on top so adding that extra bit of syrup just takes the pancakes to the next level. Oh! 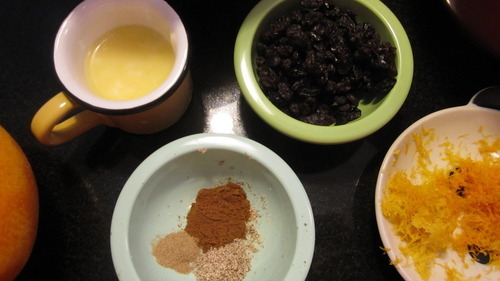 And I used dried currants (you might remember my earlier currant-tastrophe) which are like the more delicious (and tarter) cousins of raisins and, for the record: dried currants 1, regular currants 0.